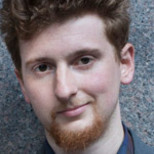 Cecily McMillan, a young Occupy Wall Street activist has just been found guilty of 2nd Degree assault on a police officer. The "assault" was a startled reaction after a police officer violently grabbed her breast in 2011, squeezing it so hard he left a hand shaped bruise. McMillan began having a seizure after being arrested, and the NYPD blocked emergency medical technicians from treating her. When McMillan was released from the hospital she was limping, barely able to walk, after being beaten so badly. Her body was covered in bruises. On May 19th McMillan will receive a sentence of between 2 and 7 years in prison for her startled reaction to a violent police sexual assault. She now sits in New York's infamous Riker's Island correctional facility awaiting her sentence. During the trial, Police officers spoke of "smelly protesters" in their testimony. Prosecutor Amy Choe alleged that McMillan had injured herself, and mockingly dismissed any allegations of police brutality, comparing it to belief in "space aliens." 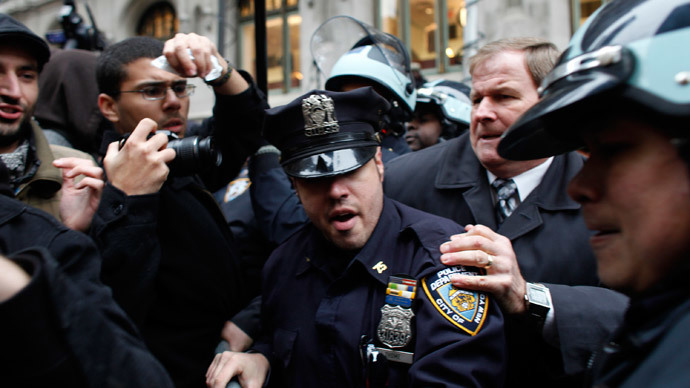 The Jury was not allowed to hear testimony about the NYPD's record of brutality against Occupy Protesters. A great deal of video of what happened to McMillan was prevented from being shown as well. The prosecution insinuated that McMillan was mentally ill and criminal for protesting at all. Articles from Rolling Stone Magazine, where she was quoted denouncing capitalism were presented as evidence. As Cecily McMillan was being convicted, one of the top stories on the news was a group of nudists in China. The US and western media have raved on and on about the "bravery" of wealthy Chinese people who "heroically" engage in public indecency on a beach. This is just the latest trendy group of protesters the Western media has decided to embrace. The airwaves have so often been filled with reports alleging mistreatment of "green movement" activists in Iran. We were told about the US backed rebels in Libya as if they were heroes. The insurgents who terrorize Syria are also given this hero treatment. When Right Sector and Svoboda members were openly running through the streets terrorizing people and assaulting cops in Ukraine, they received endless praise in the Western press. Anderson Cooper strolled through Maiden Square narrating their assaults on police and civilians as if it were a romantic battle. Through the National Endowment for Democracy, the US government gives billions of dollars to fund protesters in places like Iran, Belarus, and Venezuela. These "protesters" break laws, carry out assassinations, and commits all kinds of crimes. The reason Cecily McMillan is now a political prisoner is because she occupied Wall Street, she did not occupy on behalf of Wall Street. She did not Occupy Maiden Square, beating up ethnic Russians and Jews, to clear the way for the IMF. She did not commit acts of public indecency in churches and supermarkets hoping to destabilize Russia. She did not strip naked on a Chinese beach. She did not bomb a school is Damascus. She did not hang dark skinned Africans in Tripoli. She did not burn monuments to the Ukrainians who died in the Second World War. Cecily McMillan slept in a park, talking about income inequality, and plutocracy in the US. While doing it she professed non-violence, and was noted for criticizing the more radical elements of her movement. She was sexually assaulted, and jumped in response. She received a horrific beating, and is now going to spend years in prison. As far as the US government, courts, and media are concerned, there are clearly two types of protesters. When protesters are opposing the regime currently topping Wall Street's enemies list, they get praised on TV, they get funding from various US based non-government organizations, and the slightest attempts to suppress them are declared "tyranny." Luis Posada Carrilles, a Cuban "protester" who bombed an airplane killing over 70 people is living very comfortably in Miami. Terrorists from the "People's Mujahadeen" (MKO) in Iran, who have tortured and murdered for decades, are happily embraced by political leaders like Tom Ridge, and provided safe evacuation by the United Nations. "Protesters" run through the streets of Venezuela, burning buildings, assaulting police officers, and yet receive support from the US government, and are treated as heroes by the US media. The US government and Wall Street are happy to fund the most violent, terroristic "protesters" in order to destabilize a government that gets in their way. But when young people in the center of world capitalism engage in peaceful protest, they are dubbed "smelly protesters" and "traitors." They get maced in the face, beaten, and arrested. The kind of brutality routinely unleashed on black and brown people, is turned on those who take political action. Anthony Bolognia, who famously maced two protesters in the face during the first month of Occupy Wall Street without any provocation had all charges against him dropped. He is continuing his career as a highly paid New York City Police Officer. Though the world watched Occupy protesters in New York being brutally beaten, not a single NYPD officer has been charged with brutality. The Police Officers who shot Ramarely Graham, a young African-American man through the chest have also received no penalty. No one disputes that they burst into his apartment and gunned him down in front of his family, but not even the slightest penalty has been issued. The prison system is in the United States is rapidly expanding with 2.5 million people locked away. The schools in the US are often now filled with armed police, and children are often arrested for what would be previously considered a matter of classroom discipline. The rising expansion of the "criminal justice system" is accompanied by an increased repression of political activists. The homes of activists from the Freedom Road Socialist Organization were raided by the FBI. Anarchists in Seattle were imprisoned for refusing to testify against their comrades. In Chicago and Cleveland, occupy activists face lengthy sentences in obvious examples of entrapment. The National Security Agency now admits it is spying on millions of people, recording phone calls, emails, etc. Are we really expected to trust John Kerry, Samantha Power, or Barack Obama in their words against Russia, People's Korea, China, or Iran? Are we really expected to trust them as "human rights advocates" around the world, as they preside over rising police state at home? The next time CNN, FOX, or MSNBC begins to speak of "peaceful protesters" in some country Wall Street dislikes, and declares that government to be "tyrannical", and calls to rescue these "peaceful protesters" with sanctions and cruise missiles, millions of people will think of Cecily McMillan, and know that these words are nothing but pure hypocrisy.